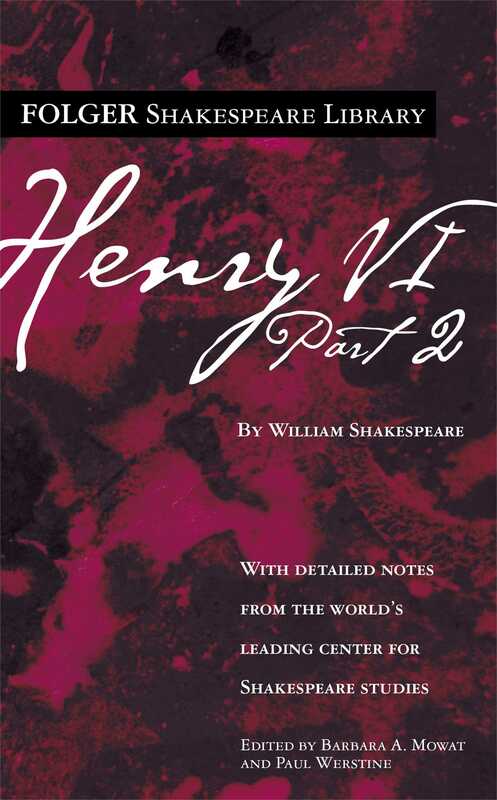 Henry VI, Part 2 presents a kind of story that was popular before Shakespeare began writing, tracing the fall of powerful individuals to their untimely deaths. The first to go is the Duke of Gloucester, Lord Protector of England and the most powerful man in the kingdom, who is murdered after his wife goes into exile. Next to meet a bad end is the Duke of Suffolk, the queen’s lover, who rules England through her. After Suffolk conspires with the cardinal of Winchester to kill Gloucester, he is banished and assassinated. The cardinal dies raving of his own guilt. Ultimately, the king’s weakness lies behind these events. Preferring spiritual contemplation, he has left others to contend for power. Now his liberty is at risk as Jack Cade, and then the Duke of York, rise against him. The play leaves us in suspense about Henry’s fate by ending with the start of the Wars of the Roses—a conflict setting the white rose of the Duke of York against the red rose of King Henry, of the House of Lancaster.